Does Santa’s team assemble all his gifts at his workshop at the North Pole, then do the deliveries himself? Or does he buy from Canadian businesses and ask them to help him drop-ship? Most businesses are happy to offer this white label service to Old Saint Nick! But how are these shops run? Do the elves and reindeer get good hours? Do they know how much their paycheck will be each week? He will be happy that many businesses are taking extra care to treat their staff well and create good jobs – decent work. A happy workplace is something to consider when making your wish-list this year. 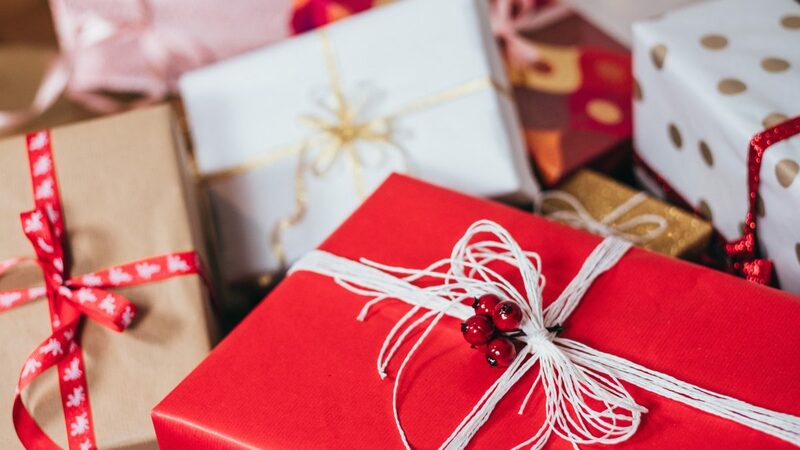 When there’s temptation to order gifts quick from a US warehouse, remember there’s still time to pop down to great brick and mortar shops and hit up local business websites. And maybe frequenting more decent work businesses will appear on your new year’s resolution list for 2019. Decent work businesses are eager to help Santa! To name just a few, if you are looking for party snacks you’ll want to look out for Neal Brothers. Visit Grosche.ca for beautiful tea and coffeeware with a mission. Many local retailers are leading by example, like Kitchener’s Full Circle Foods. Decent work champion Muskoka Brewery is selling cozy Canadian onesies. Enjoy classes and baked goods made with love at Bread By Us in Ottawa. Treat someone special to a piece of gorgeous (and affordable) jewelry manufactured in Canada. If you’re making your own food, everyone needs a one-of-a-kind kitchen knife – from the self-declared “addicted to sharp” folks at Knifewear. After the holiday rush is over, treat yourself to a spa day with Coco Beauty Bar in Toronto…the list goes on. How do you make sure your dollars are going a bit further towards creating and sustaining good jobs in our communities? Do they pay at least $15/hour? Do they take employees’ health seriously, offering the odd paid sick day? Do they schedule stable, predictable hours? Do the staff seem happy and have you heard good things about the business? Congratulations – by spending money here, you are helping local economies thrive and more businesses succeed. Santa will be jolly indeed! We’re a growing movement for decent work – not led by workers (they’ve got enough on their hands), government or consumers. We’re business owners who see the benefits, not just for our profit margins, but our local economies as well. If you know any businesses who deserve a shout-out for the work they do to create a positive work environment for all, please put them in touch with the Better Way Alliance. Thank you for helping decent work businesses assist Santa on his trip around the world this year. Happy shopping, and happy holidays to all!